Food Storage Container Set Just $18! Was $60! 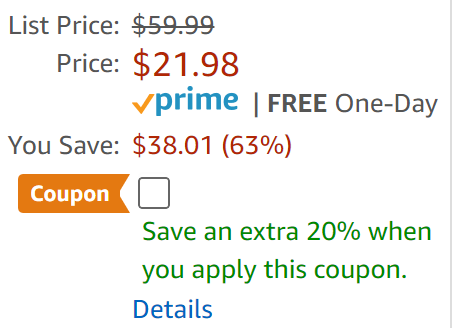 Don’t miss this amazing deal from Amazon! 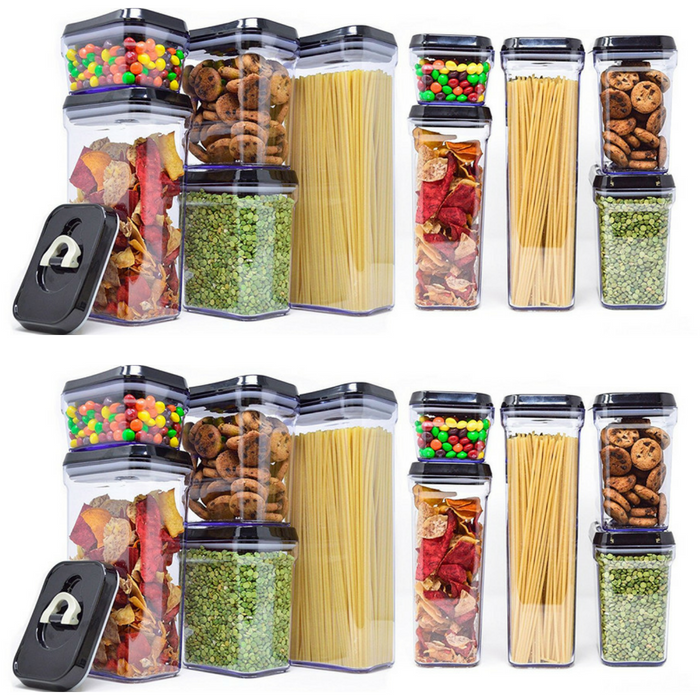 Get these Deik Food Storage Containers with Snap Locking Lids for just $17.58, after you check the box to apply the 20% off coupon, down from $59.99 PLUS FREE shipping for Amazon Prime members or orders $25 or more! These reusable food containers are portable, microwaveable, and dishwasher-safe, with snap lock lids and airtight seals. They are perfect for food on the go! The Desk food storage containers come in a 16-piece set with different sizes and shapes. These containers are transparent so they can be used for a variety of purposes like storing different types of nuts, cookies, fruits or even craft supplies and stationery items! Made of healthy BPA-free plastic. Plastic containers with 1.8mm thick walls that avoid bacteria build up. Microwavable, up to 230 degrees Fahrenheit, without browning element. This 8 Piece Set of plastic food containers and 8 airtight lids nothing leaks out. Perfect for storing food in the refrigerator or freezer, They are great not only for food, but also for storing arts and crafts like homemade goo, homemade play dough, or even that perfect shade of mixed paint for your next art or craft work. This plastic Tupperware set is dishwasher safe and won’t absorb stains or odors. Lids are top rack dishwasher safe. Comes in a presentable gift package, perfect for gift giving. 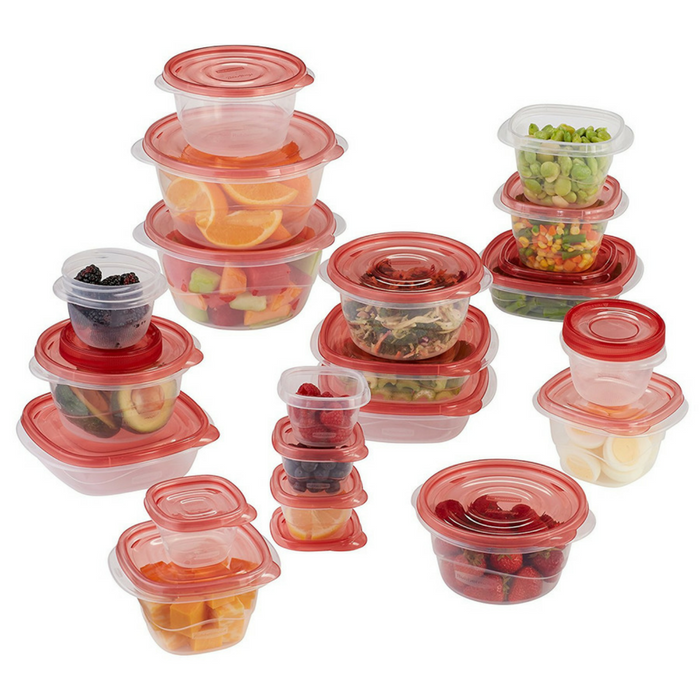 Rubbermaid 40-Piece Food Container Set Just $9.99! Amazon has this Rubbermaid 40-Piece Food Container Set on sale for just $9.99! Please note that this is an add-on item and will ship with a qualifying order of $25! 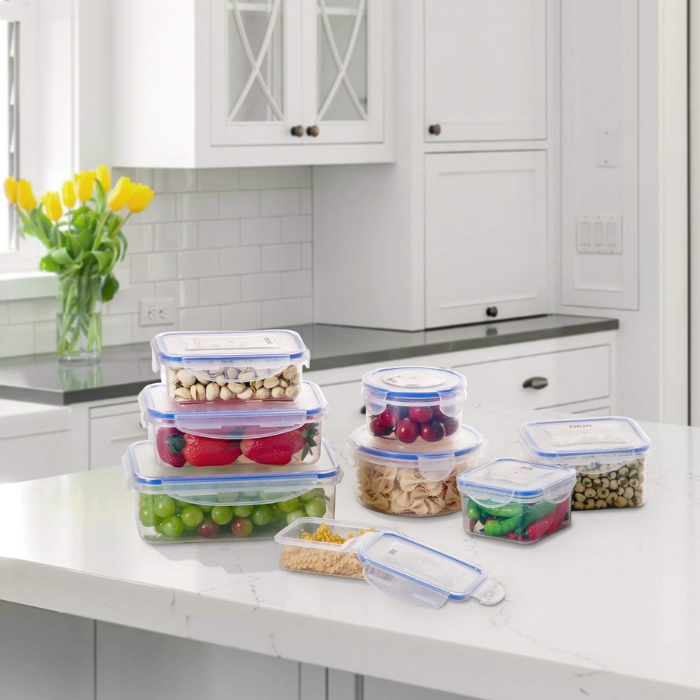 Store, organize, and pack a variety of foods with this 40-piece set of Rubbermaid TakeAlongs Assorted Food Storage Containers. The wide range of sizes makes them ideal as meal prep containers, as well as for pantry and even craft storage. The snap of the Quik Clik Seal lids helps you know they’re closed tight, and graduation marks are great for portion control. These stackable BPA-free containers are freezer and top-rack dishwasher safe, and have microwave-safe bases. Food Container 10-Piece Set Just $42.49! Down From $100! PLUS FREE Shipping! Amazon has this Royal Air-Tight Food Container 10-Piece Set on sale for just $42.49 down from $99.99 PLUS FREE shipping! Store your favorite foods safely into these efficient containers. With 4 different sizes for edibles of all shapes, sizes, and volumes, you won’t have to worry about jamming your edibles into containers. Not only are these good for dry foods, but our containers are great for holding liquids such as water, juice, soup, and more. Container corners allow for easy pouring. Don’t worry about spills as the containers are designed to seal all liquids with airtight technology once the handle has been pushed down. LID-LOCK MECHANISM – Once the ring on the lid is pushed down, the silicone seal inside the lid will expand to seal the jar, creating complete airtightness. Pop the ring back up and it serves as a handle to lift the lid. Provides maximum freshness and prolonged food storage. EASY TO CLEAN – To clean the Royal Air-Locks thoroughly, simply remove the silicone attached along the lids of each container and wash with soap and rinse with water. Wrap the silicone around the lid again and seal back up to use again.